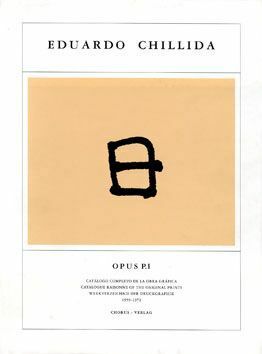 1924 - Eduardo Chillida is born on January 10. 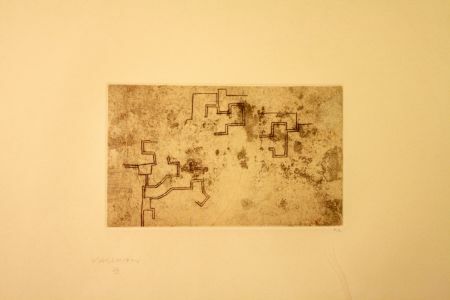 1943 - Chillida starts his studies at a school of architecture in Madrid. 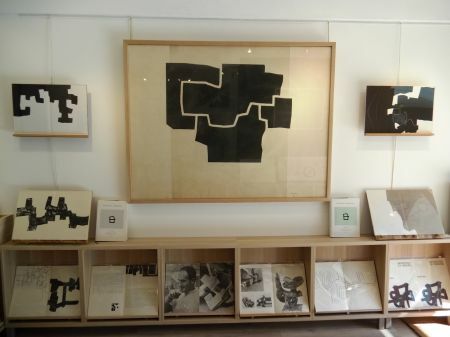 1950 - Chillida moves to Paris where he devotes himself to sculpture. 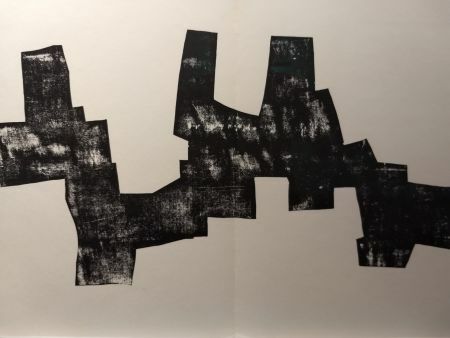 1954 - Chillida creates low-relief sculptures on the doors of the Fransiscan monk church in Aranzu. 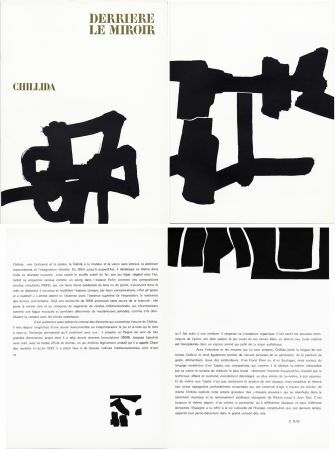 1958 - Chillida exhibits artworks in the Spanish pavilion during the Venice Biennale. 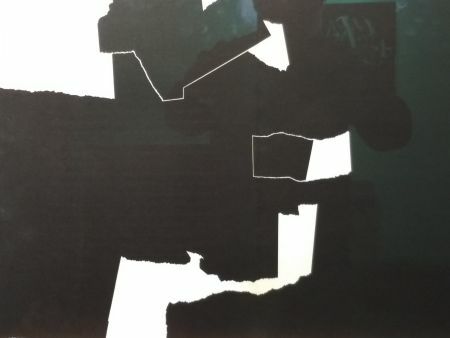 1959 - The artists is awarded with the Graham Foundation Grant and the Kandisky Prize. 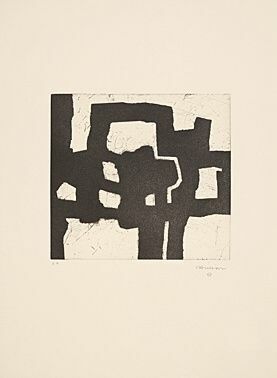 1960 - Chillida travels to the USA for the first time where he participates in an exhibition at the Guggenheim museum in New York. 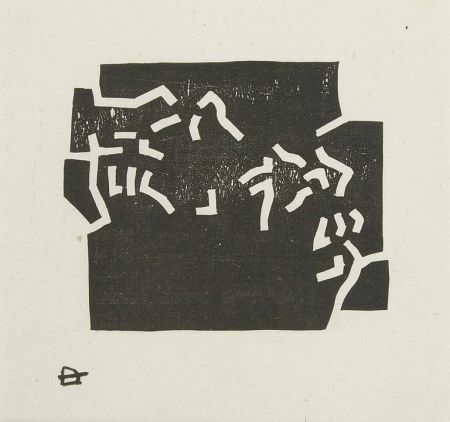 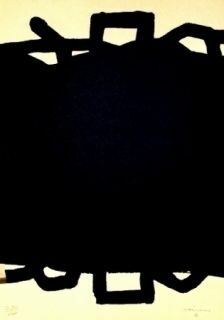 1970 - Chillida creates the sculpture "Around the Void V" for the World Bank. 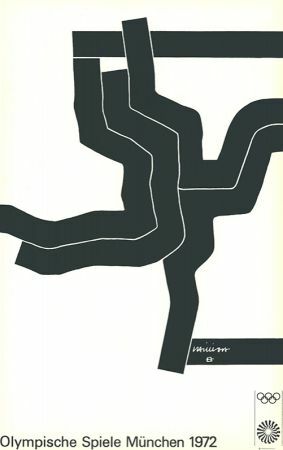 1971 - Eduardo Chillida is appointed professor at Harvard University. 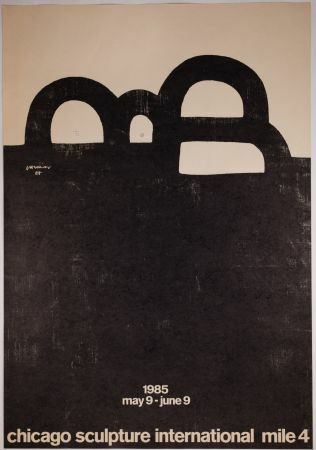 1981 - Chillida is awarded with the Gold Medal of the Fine Arts in Madrid. 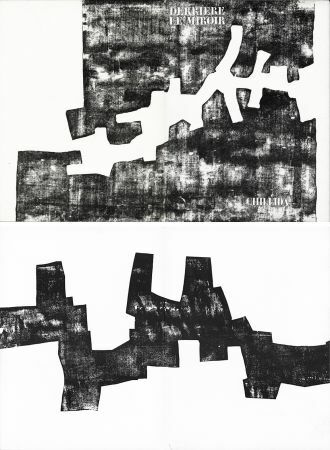 1975 - Chillida is awarded with the Goethe Foundation's Rembrandt Prize. 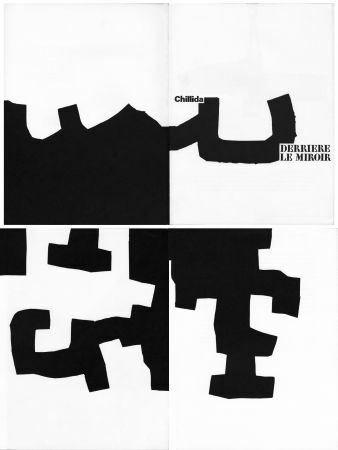 1984 - Chillida receives the Grand Prix des Beaux Arts in France. 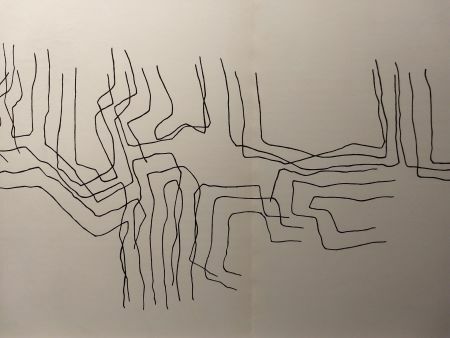 1988 - The artist participates once more in the Venice Biennale. 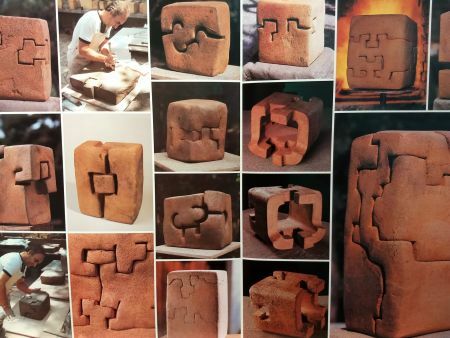 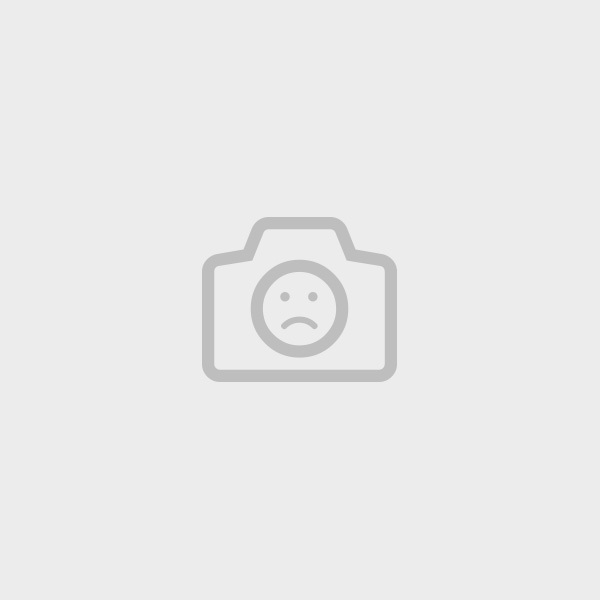 2002 - Eduardo Chillida dies on August 19 in San Sebastian in Basque Country. 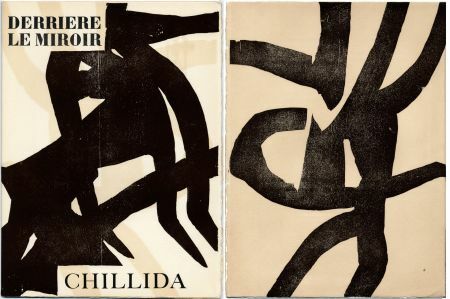 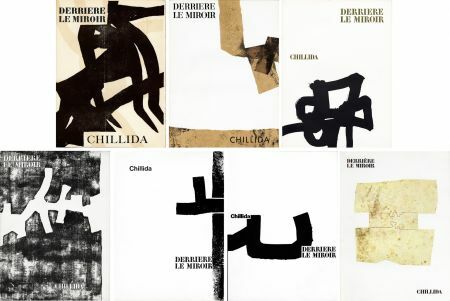 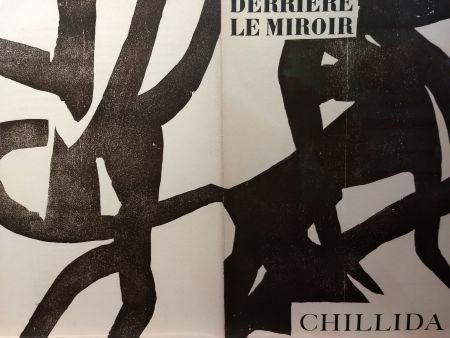 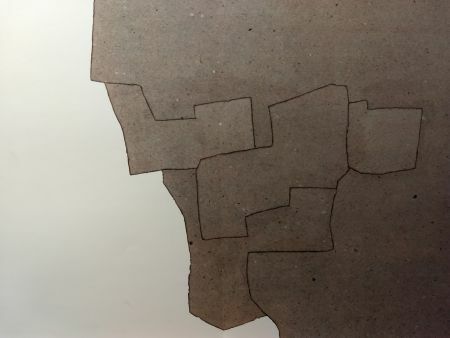 "Eduardo Chillida, catalogue raisonné of the original prints", in 4 volumes, (here the first one reproduced) is the official catalogue for all the prints of Chillida, including the one printed in the illustrated books. 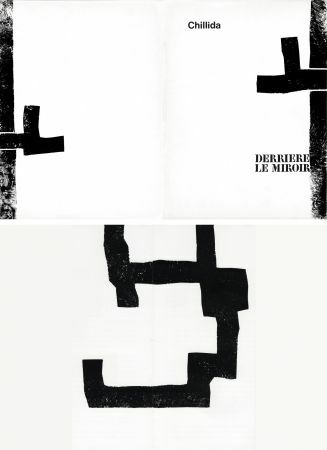 Catalogue made by Van der Koelen and published by Chorus in München.